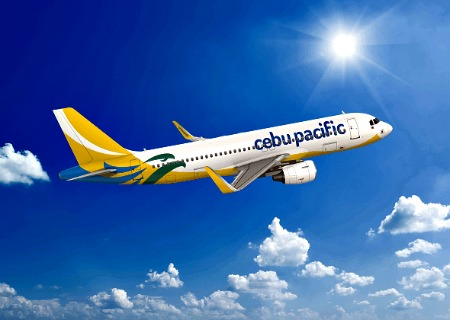 The Philippines' leading budget airline, Cebu Pacific, further expands its domestic route network through its wholly-owned subsidiary, Cebgo, with the addition of four new routes from Clark and Cebu. Starting today, May 15, 2017, Cebgo will be flying directly from its Clark hub to two of the world's best islands—daily to and from Caticlan, Boracay, and three times weekly (Monday, Wednesday, and Friday) to and from Busuanga. With the launch of these four new routes, the Cebu Pacific Air group is positive that this will not only benefit the locals in Boracay, Palawan, and Cotabato, but more so the residents outside Metro Manila. Now, traveling to such destinations will definitely be more convenient as CEB continue to link more and more islands in the archipelago. CEB also believes that these new routes will be attracting both leisure and business travelers, boosting trade and tourism. Along with this flight expansion, Cebu Pacific also extends the reach of its cargo services, further eliciting trade and investment in these destinations. CEB offers its lowest all-in one way year-round fare from Clark to Caticlan at PHP 2,030, Clark to Busuanga at PHP 2,306, Cebu to Busuanga at PHP 2,778, and Cebu to Cotabato at PHP 1,994. Aside from Cebu and Clark, CEB also operates flights out of four other strategically placed hubs in the Philippines: Manila, Davao, Kalibo, and Iloilo. The airline's extensive network covers over 100 routes and 66 destinations, spanning Asia, Australia, the Middle East, and USA.